Enjoy the best inspirational, motivational, positive, funny and famous quotes by Anthony DeStefano. Use words and picture quotations to push forward and inspire you keep going in life! Heaven is going to be a vast, colorful tapestry of living things. 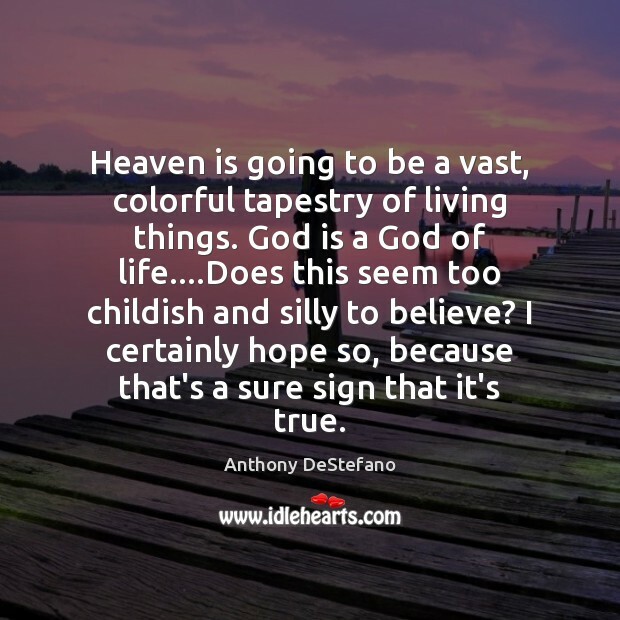 God is a God of life....Does this seem too childish and silly to believe? I certainly hope so, because that's a sure sign that it's true. 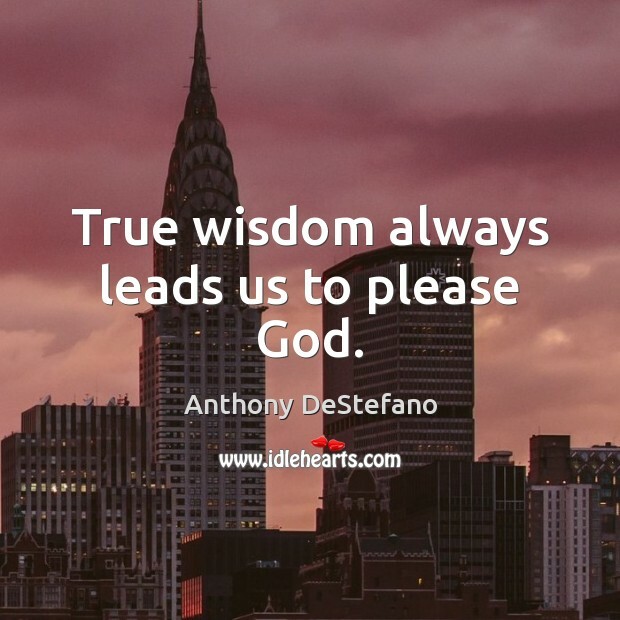 True wisdom always leads us to please God. The most important things in life can't be seen with the eyes. Ideas can't be seen. Love can't be seen. Honor can't be seen. This isn't a new concept. 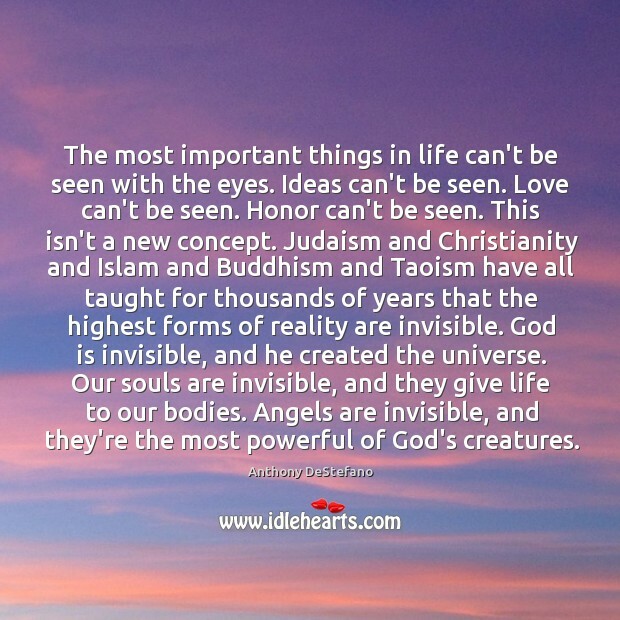 Judaism and Christianity and Islam and Buddhism and Taoism have all taught for thousands of years that the highest forms of reality are invisible. God is invisible, and he created the universe. Our souls are invisible, and they give life to our bodies. Angels are invisible, and they're the most powerful of God's creatures.